Between 14th and 18th September, the PH-CRC, together with the Communication sectors, HR and HSE PH-CLD, promoted a campaign to sharpen and develop risk perception amongst its employees. The campaign “With an Eye On the Risk” held several events during the week in order to work the team’s behavior and prevent accidents at work. 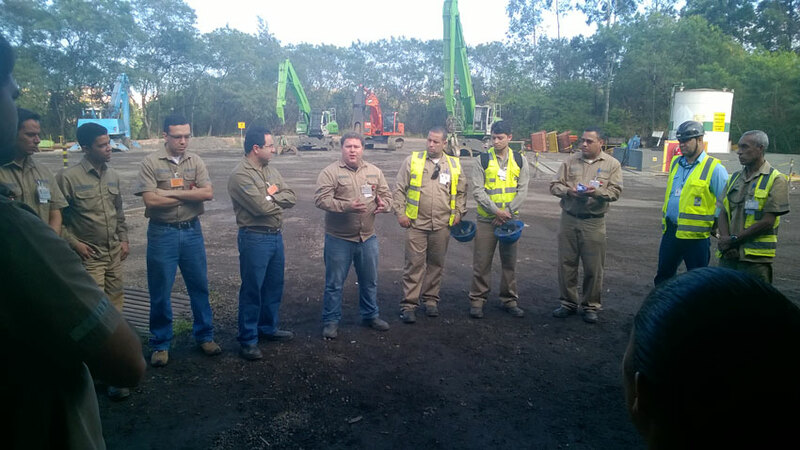 The action was with special DSDs , blitz in the plant’s entrance, addressing employees of PH as well as third parties and the client`s, presentation of videos and distribution of brochures and games that stimulate the attention and perception of details, as well as an audit and a training specially developed for the leaders of the unit. At the end of the week, over 900 people had participated in at least one of the activities, including PH employees, other third parties from ArcelorMittal, besides the unit director participation, managers, supervisors and safety engineers. “The event had an excellent coverage and acceptance. One of the highlights was the presence of CIPA management 2015/2016, which was critical to the success of the campaign, “said the HR analyst, Vanda Almeida.